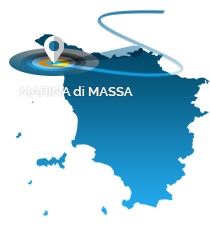 Camping Calatella is located in the neighbourhood of Marina di Massa, Tuscany, and it has been welcoming their guests since 1969, offering a cosy and lively atmosphere and treating them with care and courtesy. Camping Calatella is placed in Partaccia, hamlet of Marina di Massa, and it offers well-shaded flat pitches for campers, caravans and tents; the campsite also has long-term stay pitches, for those who wish to spend a long period at our facility on a trailer with a porch. Bungalows are also available, as well as caravans with a porch and a mobile home. Discover our camping: a large playground with a picnic area, a grocery store, a bar and a restaurant-pizzeria, serving fish specialties. Free Wi-Fi is available all over the campsite, as well as a free internet access point. The campsite also has a medical clinic and an information point. Your furry friends are welcome.